Advancements in technology is always America’s first favourite. The making and rise of the likes of Microsoft and Apple Inc shows that the country is always innovating for better use of resources by the human race. Atmel is the one brand that immediately comes to the minds of those who know the value of this name incepted in the 80’s. Atmel is an acronym for "advanced technology for memory and logic". It is one of the worldwide leaders in the manufacture and design of microcontrollers, captive touch solutions, mixed signal, radio frequency components, advanced logic and non-volatile memory. Atmel was started with an aim to provide complete system solutions in the electronics industry with sole focus on consumer, communications, industrial, security and automotive markets. Their main mission is to provide comfort to the people’s life by bringing in a digital lifestyle and making their lives easier, be it at the office, home, on the road or at school. The idea was not to bring any change in the way the world functioned and operated. This was more about the way people interact with the rest of the world. 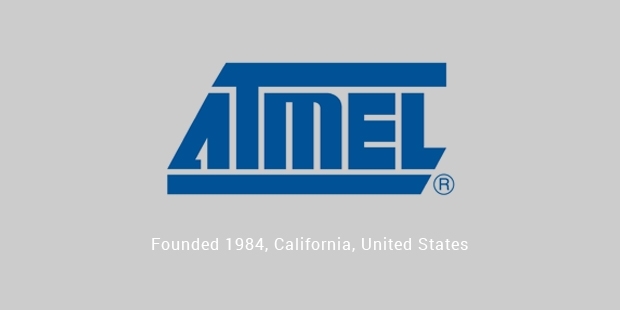 Atmel was founded by George Perlegos in the year 1984. The initial capital used by only USD 30,000, which made it a fables company. The chip wafers were made with Sanyo and General Instrument but its first products made use of less power than other competitors in the market. Atmel saw struggle in the initial years but it was the one who remained calm and tried to clear its image. 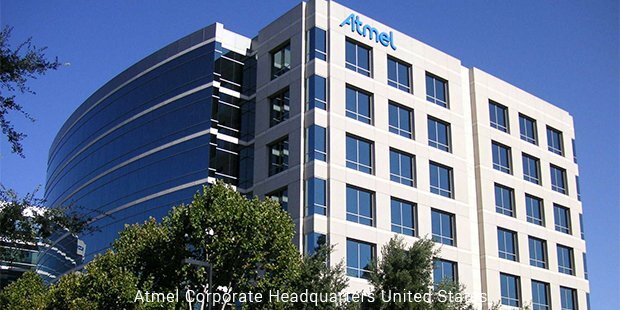 In 1987, Atmel was sued by Intel for patent infringement. In response to this, Atmel didn’t fight for patent claim but redesigned its products that use a different intellectual property. This made the company to develop products which perform better and even with lower power consumption. Atmel also entered into the business of flash memory later. Atmel expanded by entering into FPGA (Field Programmable Gate Array) in the year 1991. In the same year, the company made its first IPO which yielded about USD 65 million. Soon the company entered into the big game of microprocessors. Atmel was the first company to license the ARM architecture in the year 1995. A new addition in its property was the fabrication plant which it acquired in the year 2000. It was taken from Siemens in North Tyneside, England. The main focus of Atmel is to make the devices used by customers on a daily basis, to be smart and securely connected to the Internet. The main motto of Atmel is to give world the best technology- the users should benefit from the best products. Atmel is a known name across industrial, consumer communications, automotive and computing domains. The brand is well appreciated in creating solutions that offer the lowest power consumption without any compromise with the performance. Atmel won the EDN China Innovation Award for Top 10 Most Influential Technologies for the Future in June 2014. The company was very proud to receive the coveted EFY Award from EFY in April 2014. The company doesn’t stop with complacency. Atmel is always going through continuous improvements to make sure that the expectations of the customers are met the best ways.